In most places, many are taking advantage of summer as the best time to renovate their kitchens. 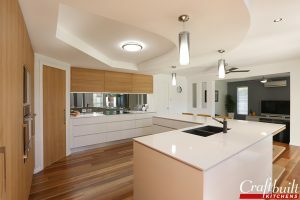 During sunny and dry days, the weather makes it ideal and beneficial for kitchen and bathroom renovators to work on your modern design. 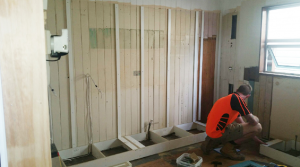 Even during a summer storm, it is still an ideal time to carry out interior renovations. It provides the resident owners with the convenience necessary, and it benefits the tradies of getting inside the house and out of the humidity. If you missed the December holiday window, there’s still a chance to take advantage of the season. Don’t listen to the popular belief that “summer is too busy”. A sunny Brisbane summer is the perfect time! Why Is Summer the Best Time to Renovate Your Kitchen? Less Intrusion – It’s the season when kids are out of school, most families go to the beach or travel for vacation, which means they’ll be away from their home for a period of time. Renovating your kitchen means you’re also having meal times without kitchen appliances and a sink. It is also when most parties are hosted outdoors. 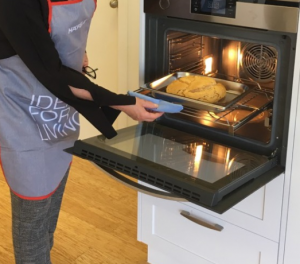 And since summer is the best time to grill – for homeowners, kitchen designers and renovators, this is a convenient time to install wood works, kitchen tops laminate and other kitchen bench materials. Show Off Your Kitchen this Spring, Autumn and Winter – Your kitchen is ready for indoor entertainment by the time autumn and winter comes around. It will be an inviting area for your guests. 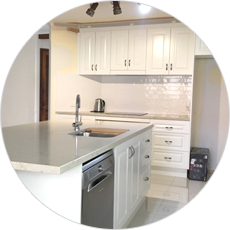 Whether you want to install stainless steel kitchen benchtops or laminate countertops, your space will be ready for cooking, prepping and featuring food. 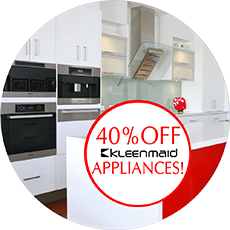 Start your parties and meals with an upgraded kitchen with modern kitchen appliances. 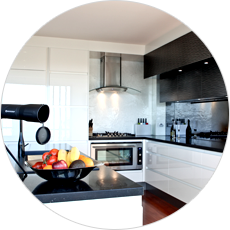 It will be the talk of the party when you tell them that you cooked with the latest in appliance technology. Less Weather Delays – This is the most beneficial time for tradies as there are fewer weather delays. The dry and warm season means they can work with tools outdoors and indoors with fewer challenges when installing storage, furniture, fixtures and appliances. It also provides ample lighting, since summer days are longer, and ventilation – goodbye dust and odor! 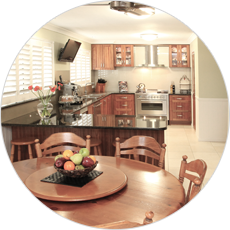 We at Craftbuilt Kitchens can assist you in fulfilling your kitchen dream this summer. Take advantage of the warm weather and upgrade your home with your new 2019 personality, goals and modern kitchen designs. Our designers at 76 Old Cleveland Road, Stones Corner are happy to help you. You can also call us at (07) 3341 9172 to set an appointment.